The American Financial Services Association (AFSA) Vehicle Finance Conference & Expo 2019 is a prestigious gathering bringing together executives, thought-leaders and innovators in the auto finance industry. The conference will focus on key industry trends, compliance and regulatory activities, as well as best practices. Nearly every captive auto finance company in the United States, as well as the auto finance divisions of major banks and a large portion of independent vehicle finance sources, are members of AFSA. This annual industry tradition is also an important opportunity to reconnect with colleagues, meet current customers and develop future prospects. Auto lenders are in for a bumpy ride. In 2018, car sales declined between 1.5% to -5% . And this downward trend is expected to continue into 2019. More than ever, vehicle finance CEOs, senior executives, compliance officers, as well as auto dealers, suppliers and partners, need to stay on top of this rapidly evolving industry. 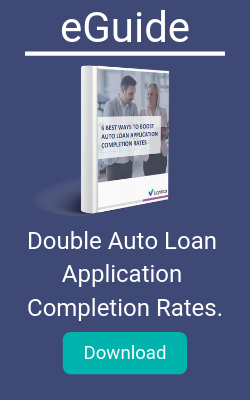 In an increasingly competitive auto lending market, it’s crucial to find and develop better ideas and solutions for boosting those close rates. The keynote session, to be delivered by acclaimed digital leadership expert Erik Qualman, will unpack the five key drivers of employee, partner and customer happiness in the digital age. Qualman will also reveal new techniques like posting-it-forward, being flawsome that are transforming organizations and their target audiences. AFSA’s Business Partner members, whose products and services support the auto finance industry, will be on hand with over 70 booths on display over the three days of the conference. This is your opportunity to discover the latest and greatest tools and techniques to help your company gain a competitive edge, including Lightico. Experience How Lightico Doubles Your LOS Performance! Learn how an important CX solution is doubling yield and boosting close rates for auto lenders. See how the solution seamlessly integrates with existing LOS to simplify customer-facing stipulations collections and applications completion. Visit Booth #405 to see how loan originators are quickly adjusting to the heightened expectations of today’s car buying public. Prebook your personalized live demo. After a day of scintillating sessions about AI, Machine Learning, credit scoring, blockchain, cybersecurity, alternative ownership options and more, a break from the action will probably be in order. San Francisco is an amazing city with tons of attractions to experience. Whether it’s the hibernating vineyards that are densely covered with mustard blooms this time of year, whale watching at Point Reyes, or warming up on a chilly winter day with a warm bowl of clam chowder soup at Boudin Bakery, the options are nearly endless.